I love pugs, and I love pigs, so it was impossible for any other outcome than me loving this adorably illustrated and sweet picture book. Pig loves Halloween, and has matching costumes for her and her best friend, Pug. She’s so looking forward to handing out candy, trick-or-treating, and going to a Halloween party. But Pug hates the costume! Will Pug destroy Pig’s favorite holiday, or will they find a way they can both enjoy the celebrations? Joyce Wan’s illustrations are delightful, and the definitely capture the range of emotions the mischievous critters express. The colors of the drawings reflect fall, and the Halloween decorations reflect a definite pug and pig touch. The story, by Sue Lowell Gallion, is excellent to read along with young readers and shows the value of compromise and the joy of friendship. New Jersey assembly votes to ban gestation crates! 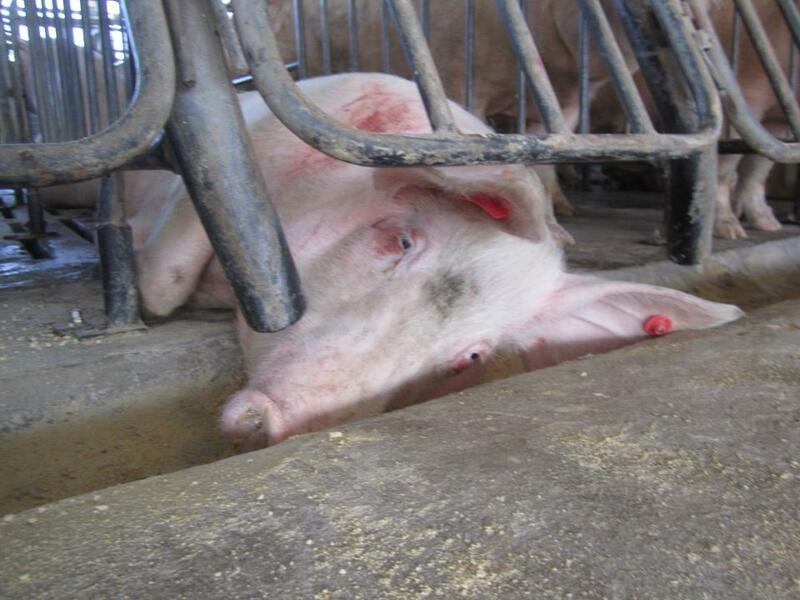 Factory farming is a cruel industry, where animals suffer unspeakable pain and injury, as in the photo above. Please visit the Humane Society’s Farm Animal Protection Campaign page to learn how you can help.